The smartphone camera has come a long way in the last few years and current flagship phones can even match up to a professional camera. However, if you’re wondering that these camera phones will make you break the bank, then we’re here to tell you about those handsets that can capture great images, and won’t pinch your wallet either. So without further ado, here’s a look at the top camera smartphones priced under Rs 10,000. The ASUS Zenfone Max Pro M1 keeps cropping up in our recommendations for best budget phones, and not without good reason. It comes with a dual rear cameras setup that features a 13-megapixel f/2.2 sensor, which is paired with another 5-megapixel f/2.4 unit. The camera lets you take portrait photos as well. As far as the other specs are concerned, the phone comes with a 5.99-inch full HD+ display, Snapdragon 636 processor, 3GB of RAM, 32GB of storage and a whopping 5,000mAh battery. It also has an 8-megapixel front camera and runs stock Android 8.1 Oreo out of the box (upgradeable to 9.0 Pie). The Redmi 6 Pro is yet another smartphone with dual cameras on the back. There’s a primary 12-megapixel shooter with an f/2.2 aperture, which is paired with a secondary 5-megapixel f/2.2 sensor for capturing depth information. The phone is powered by the Snapdragon 625 processor, which is coupled with 3GB RAM and 32GB internal storage. It has a 5.84-inch Full HD+ display and a notch on the top, which houses a 5-megapixel selfie camera. The device gets a 4,000mAh battery and gets Android 8.1 Oreo with MIUI on top. 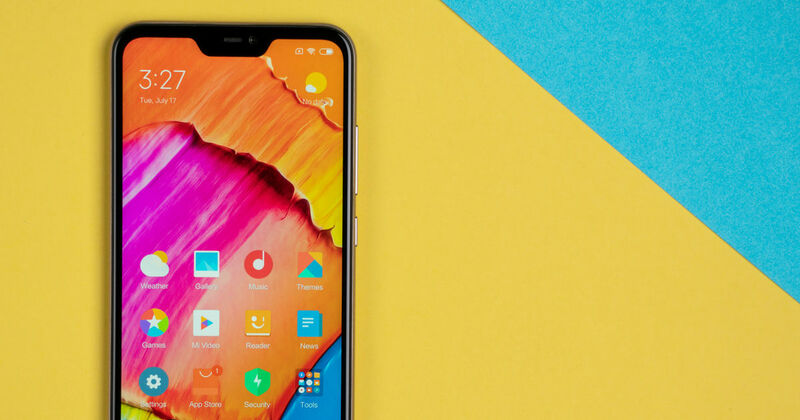 The Realme 2 is the successor of the Realme 1, and has a dual-camera array on the back with a main 13-megapixel f/2.2 sensor paired with a 2-megapixel f/2.4 depth-sensing unit. On the front, there’s an 8MP camera for selfies. The handset is powered by the Snapdragon 450 processor, which works in tandem with 3GB of RAM with 32GB of storage. A 4,230mAh battery keeps the phone running. The 6.2-incher boots ColorOS based on Android 8.1 Oreo. The Nokia 5.1 Plus has a 13-megapixel sensor at the back with an f/2.0 aperture, which is accompanied by a 5-megapixel unit, enabling the portrait mode. For selfies, the phone features an 8-megapixel sensor with f/2.2 aperture. The smartphone is powered by the MediaTek Helio P60 chipset that’s mated to 3GB of RAM and 32GB of internal storage. The device has a 5.86-inch HD+ display with a notch at the top. The phone sports a 3,060mAh battery with fast charging support, and ships with stock Android 8.1 Oreo out of the box. The Moto G6, on paper, has the best camera sensors in this list. The primary rear camera on the phone has a resolution of 12-megapixels with an f/1.8 aperture. This means that the phone can take in a lot more light and this sensor is paired with a 5-megapixel depth unit. On the front, there’s a 16-megapixel camera for selfies. The phone comes equipped with the Snapdragon 450 chipset, 3GB of RAM, 32GB of storage and a 3,000mAh battery with fast charging support. It features a 5.7-inch Full HD+ display as well and a fingerprint scanner below the screen. There you go. These are our top 5 picks for the best camera smartphones priced under Rs 10,000 in India. Let us know which one is your favourite in the comment section below.